Virginia marijuana defendants: Look before you leap into 251-land | Jon Katz, P.C. In some Virginia District courtrooms, a parade of unrepresented marijuana defendants often shows up on their marijuana possession trial date. Word apparently has gotten out somehow -— perhaps from arresting officers, perhaps from friends —- that if the marijuana possession defendant has no prior convictions, s/he can save money on a lawyer and get the case ultimately dismissed by successfully completing a program of drug education, clean urine testing, and community service. This is an option under Virginia Code § 18.2-251, colloquially called “251” (and which applies to drug possession beyond just marijuana), and it is solely up to the judge whether to grant such a disposition. Recently, a District Court judge provided a short talk to marijuana defendants in the courtroom about 251 by pointing out that a guilt for marijuana possession will follow them for the rest of their lives, but a 251 disposition will lead ultimately to a dismissal if successfully completed. – By the court date, a lawyer can advise you whether the prosecutor even has the ability to prove you guilty on the day of trial. The lawyer will see whether the officer is even present and whether sufficient scientific evidence exists to prove that the seized material is marijuana. 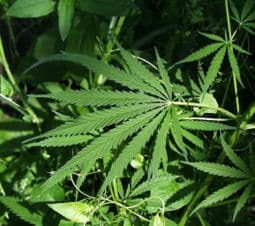 A qualified lawyer will provide you a full analysis of your chances of winning, including the chances of suppressing the seized alleged marijuana as the fruit of an unlawful arrest and/or search, and the chances of arguing that you did not have knowledge, dominion and control over the alleged marijuana. – A 251 disposition is treated as a guilt for purposes of suspending for six months your Virginia driver’s license, and, for out-of-state licensees, your privilege to drive in Virginia. Although the judge has the authority to grant restricted driving privileges for such matters as driving to work and school, such a restriction is still a substantial imposition on one’s liberty and a violation of the suspension is jailable and would be a violation of the 251 program. – A 251 disposition places you on probation. A finding of a probation violation can preclude a dismissal of the case, get a guilty verdict entered, and get a jail sentence up to thirty days. – If you are not a United States citizen, the immigration authorities might treat the 251 disposition as a guilt, seeing that immigration law does not require as high a standard of proof as guilt beyond a reasonable doubt. A prerequisite to a 251 disposition is guilty plea or judicial finding of facts to justify a finding of guilt. – Beware whether the military, security clearance authorities and laws, employers, and educators will treat a 251 disposition as a conviction. – If the judge finds you in violation of the 251 program, the judge will enter a guilty verdict and sentence you up to thirty days. You will get no trial. If any of the thirty days is suspended, the judge might put you on probation with a suspended sentence hanging over your head, and possibly still require successful completion of clean urine testing and drug education. – You get stuck paying the fees for supervision under 251. – If the judge strikes the 251 disposition and enters a guilty verdict, is it too late to exercise your ten-day right to appeal for a whole new trial in Circuit Court (by jury unless both sides agree to waive a jury)? The ten-day appeal right in a criminal case from Virginia District Court to Circuit Court starts running from the date of conviction. Va. Code § 16.1-132. A good argument could be made to the court being appealed to that the ten-day appeal right only starts running after the sentencing court finds the defendant in violation of the 251 program. § 18.2-251. That argument sounds sound, but might not be treated as sound by the judge handling the appeal, particularly seeing that (1) a 251 disposition requires a guilty plea or judicial finding of facts to justify a finding of guilt and (2) a 251 disposition is treated as a conviction by Virginia law for purposes of suspending driving privileges and for purposes of making a public school employee eligible for suspension. § 18.2-251. Yes, hiring a lawyer can be expensive (unless you qualify for and obtain court-appointed or public defender counsel). However, it can be like the oil filter commercial: You can pay now or pay later. ADDENDUM: For my update on the interplay between 251 and immigration law, see here.